As your Trinity Beach family dental provider, Trinity Beach Dental strives to deliver the safest, most affordable, quality treatment. You’ll never feel rushed, as we always take the time necessary to ensure your comfort. We believe that routine checkups are the best way to avoid dental problems in a minimally invasive manner. The better your preventative care is the fewer issues and complications that you can expect to have over time. Treating tooth decay early can keep your fillings smaller and less invasive. Tony uses only amalgam-free, composite fillings. These white restorations blend in with the colour of your teeth. Your treatment plan will be tailored to your individual needs and concerns. As Tony examines your teeth, we will take pictures of areas that need to be addressed, so that we can share that visual information with you. This gives you a better understanding of what is going on with your smile so that you can make an educated decision about your care. To ease your mind, we may recommend laughing gas to help you relax. You can also watch a movie on one of our ceiling-mounted television screens above the dental chair. Are you ready to restore your smile’s beauty and health? Schedule a complimentary consultation with Tony to discuss what options are available to help. We’re an in-network provider for HCF and Bupa, but we are happy to file claims on behalf of all carriers. Affordable low-interest financing is also available. 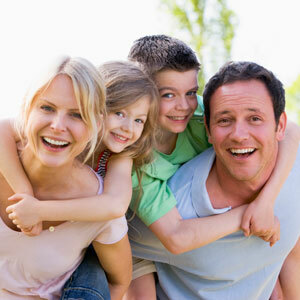 Contact us today to find out why local families have trusted us with their smiles for over 20 years.